As the premiere of Star Wars: The Force Awakens grows closer, Google is getting in on the excitement. The company recently announced its new #ChooseYourSide campaign, and indicated it was planning a number of Star Wars Easter eggs ahead of the film’s release on December 18. Well, you don’t have to wait for the Easter eggs to start popping up. The first surprise for Star Wars fans who use Chrome has already been found. Just Google the famous first line from the original 1977 Star Wars movie (“a long time ago in a galaxy far far away”), and you will be treated to a page in the style of the series iconic opening crawl. 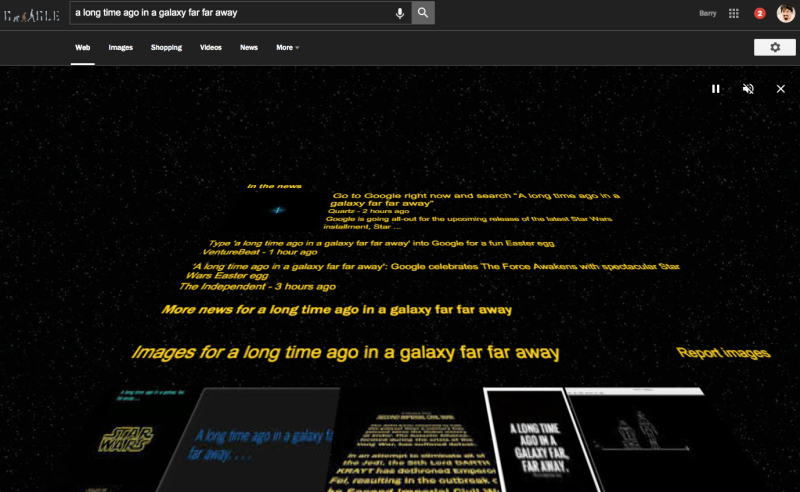 Instead of an summary of intergalactic politics and jedi-related events however, the scrawl shows search results over a Star Wars-themed background. You can find out more about the #ChooseYourSide campaign over at Marketing Land. Fans will have to keep waiting for the film’s release, but keep your eyes peeled for more exciting Easter eggs in the meantime. If you’re looking to boost your share of holiday customers at the last moment, Facebook and Instagram have a new feature that will be of interest to you. The companies are rolling out a new ad-targeting segment aimed at helping brands focus in on shoppers who are engaged with content related to holiday shopping, including Black Friday and Cyber Monday. The ad segments, which will run from Thanksgiving to New Year’s Day, act like any other ad format on their advertising networks. Facebook says it will compile this audience by watching for holiday-related keywords in posts that people publish, like, comment on, and share. From there, the audience is aggregated and anonymized, like all Facebook ad-segments. The holiday ad segment is available now within Facebook self-service ad dashboards, in the “Behaviors” section under the “Seasonal and Events” category. For the first time, Google has released the full version of their Search Quality Rating Guidelines, a document used by Google Search Quality Rates to help determine how to rate the search results they are testing. The document has become public in the past, through several leaks. Just this week, the October version was leaked. The search engine also released an abridged version in 2013, but now the company has decided to officially release the entire 160-page version previously only available to Search Quality Raters. You can download the full Search Quality Rating Guidelines here. Black Friday is a crucial day for businesses across the nation, but for many e-retailers it can be hard to stand out from the noise and connect with their audience. That is much easier to do however, if you go where all the shoppers already are. A new study funded by Pinterest suggests the popular social media site is the best place to reach holiday shoppers, with more Black Friday users than any other site. According to the statistics from marketing researcher CivicScience, Pinterest users shop more on Black Friday than the average online user. Not only that, but they spend much more time on the site planning their purchases than the average online user. Pinterest users spend four times more on toys and games, three times more on housewares, clothing and accessories, and 2.2 times more on electronics and media. Additionally, Pinners are 50 percent more likely to spend the most on Black Friday at specialty stores and local businesses, meaning the site is especially beneficial for small businesses. Along with the findings from the CivicScience study, Pinterest released some other holiday shopping statistics in their recent blog post. They say Pinners have increased their Black Friday and Cyber Monday-related activity. Pins related to the big shopping days have risen 140 percent in the past year. Two million of Pinterest’s 100 million active users have already Pinned about Black Friday and Cyber Monday, and the company cites 17.7 million gift Pins posted to the network. With the holiday shopping season kicking into high gear, Google is rolling out new features to help retailers maximize their sales. 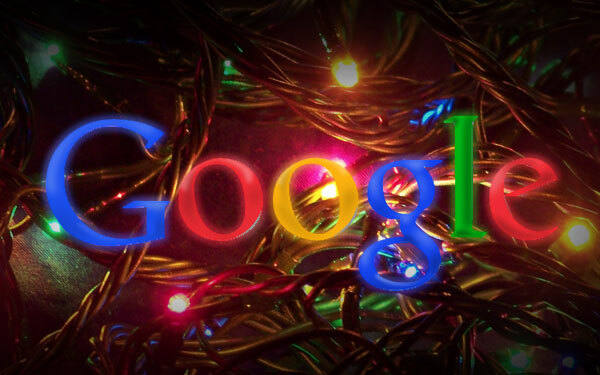 Google announced two new AdWords features this week aimed at helping businesses keep in contact with customers during the holiday shopping season, even when they are offline. The first feature is a brand new ad unit that grants retailers the ability to send marketing messages straight to customer’s phones. The new unit allows users interested in being kept up to date with the latest specials and deals opt-in to text message updates when searching from their phones. Users just have to tap the “Subscribe” button and they will be set to receive text messages from businesses through Google. Once subscribed, they will receive relevant updates and announcements, like limited time sales or special unique promotions. To unsubscribe, customers can reply “STOP” at any time. To protect user privacy, Google will not provide customer phone numbers directly to advertisers, and retailers will not have the ability to contact anyone directly. Instead, Google will act as the messenger, delivering any updates from businesses to consumers. 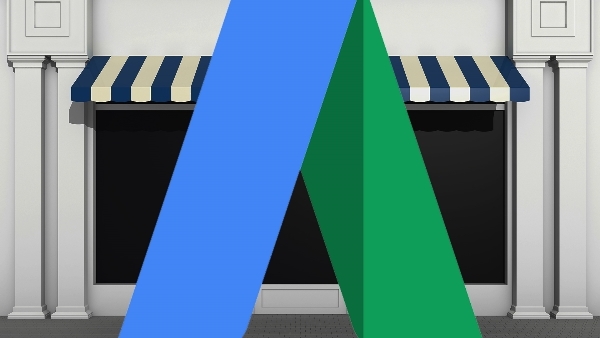 AdWords also announced a new extension to existing ad units to highlight holiday specific deals, called ‘holiday structured snippets.’ The new feature is specifically designed to promote holiday shopping deals specifically for Black Friday or Cyber Monday. The new structured snippet acts the same as any other, and is accessible through a simple drop down menu which allows you to select either “Black Friday” or “Cyber Monday” as the header of an ad extension. These snippets are unique for being able to promote a single offering for a specific holiday promotion, while standard structured snippets require at least three offers. Google says Black Friday structured snippets will not begin appearing in search results until November, 20, running through November 27. Cyber Monday ads will be shown November 20, through November 30. Like Google, Bing has been increasingly focused on delivering a mobile-friendly version of the web to its growing number of mobile users. 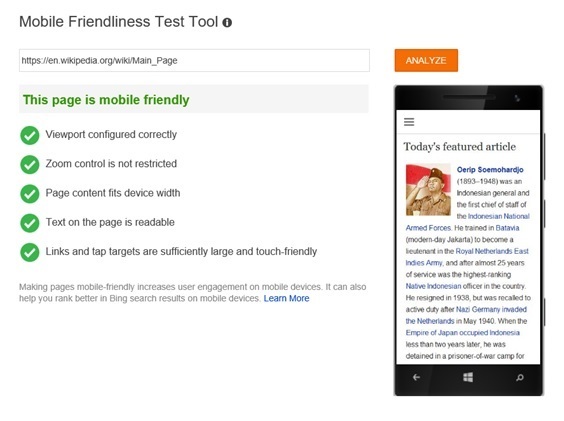 Now, Bing has released a tool to help webmasters ensure their site meets the search engine’s standards for mobile-friendliness. The tool will also notify webmasters if any of the above criteria were inaccessible or blocked, so you can remedy the problem. 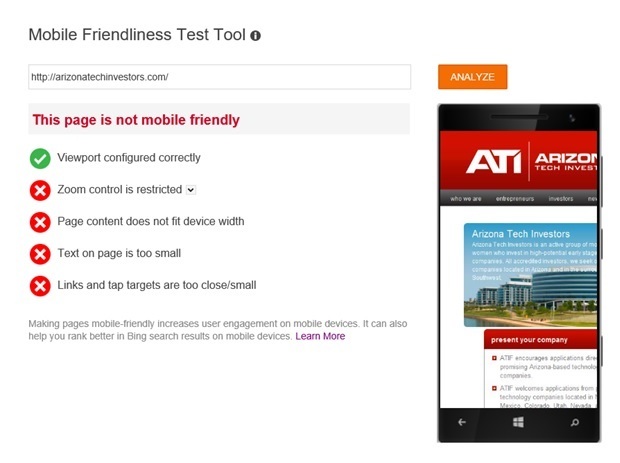 Like the tool Google offered shortly before it released its “Mobile-Friendly Algorithm”, Bing’s tool delivers an overall verdict as to whether you site would be considered mobile-friendly by the search engine. It will also explain what issues it detects and explain why your page fails, if that is the case. Both Bing and Google’s tools reportedly detect essentially the same things, with little difference between the ultimate results. However, Bing’s tool is significantly faster and easier to use. 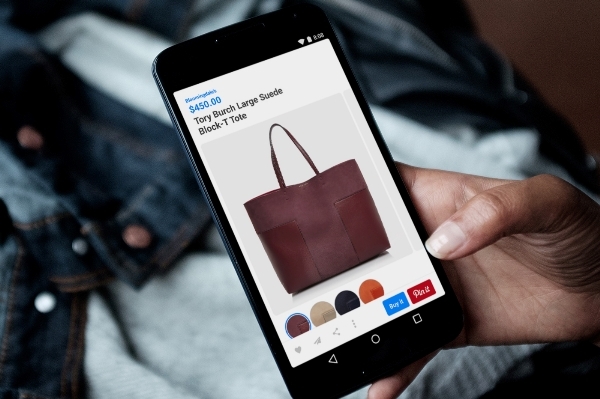 After months of anticipation, Pinterest’s Buyable Pins have finally come to Android. The long-awaited e-commerce feature was launched for iPhone and iPad users back in July, but the service only started rolling out for Android users last week. The company also announced that it is launching “The Pinterest Shop,” which is a curated collection of Buyable Pins and products from retailers. With Buyable Pins, Pinterest users are able to purchase items from retailers with just a few clicks and never have to leave the social bookmarking platform. It is a great time for Pinterest to be rolling out Buyable Pins to Android users, as the holiday season is starting to kick into gear. 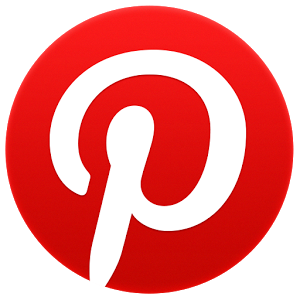 Pinterest has reportedly been pleased with the success of Buyable Pins. The company said the number of Buyable Pins on the network had more than doubled to 60 million and that the feature was largely bringing in new customers. Last month, the company expanded access to the service to three more major e-commerce platforms: Bigcommerce, Magento, and IBM commerce. These platforms are joining launch partners Shopify and Demandware. Why Are Retailers Ignoring Their Customers On Social Media? Businesses are increasingly using Facebook to advertise their business to one of the largest audiences in the world, but a new survey suggests many businesses are forgetting social media is a two-way street. According to a Sprout Social study, the majority of retailers are ignoring their customers’ requests on social media, a finding which is very troubling considering consumers are turning to social media to seek customer service and find information about businesses. The statistics from the Sprout Social Q4 2015 index say retailers failed to respond to over 80 percent of consumer questions and requests on social media over the last year. Perhaps surprisingly, retailers were least likely to respond during the holiday shopping season. 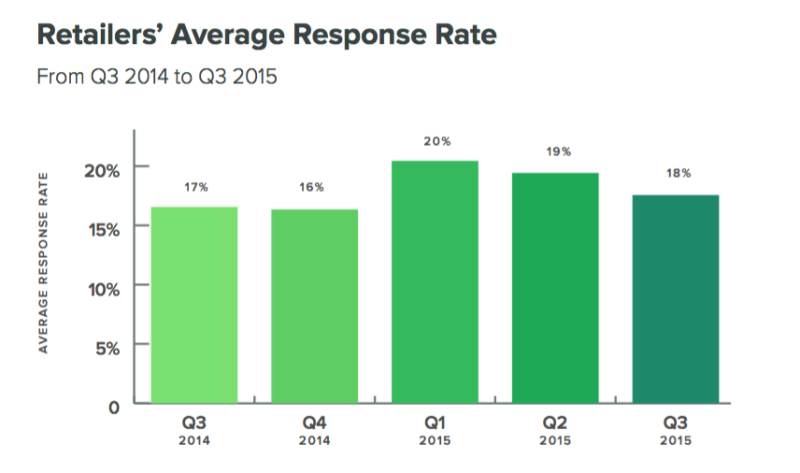 Throughout Q4 of 2014, only 16.35 percent of customer queries to retailers received any form of response. It is understandable that retailers are swamped during the holiday season, and may not have the extra man-power to closely watch social media. However, totally ignoring your customers on Facebook, Twitter, and other platforms can create a tidal wave of unhappy customers and lost potential buyers. 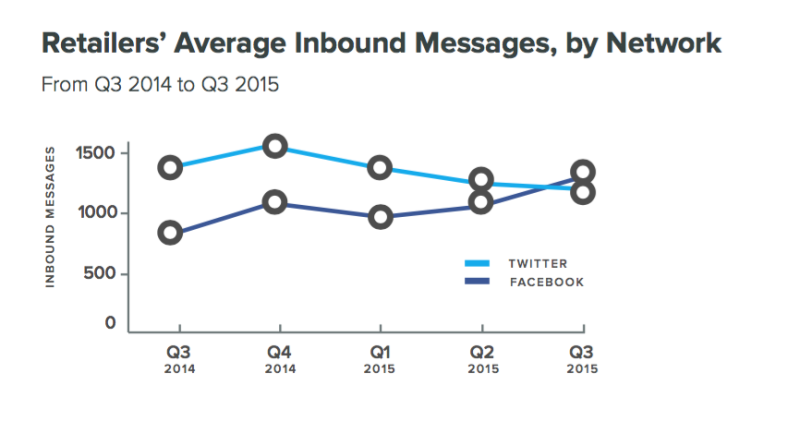 Retailers saw a 21-percent increase in inbound social media messages in the last quarter of 2014, but the majority of those went unanswered. One problem appears to be that retailers aren’t paying attention to where their customers are trying to reach them. In the past, Twitter has been the primary social media platform for customer service related questions and requests. However, Sprout Social’s study suggests a shift is occurring as more shoppers rely on Facebook to contact brands. It appears retailers haven’t picked up on the shift though, because the new statistics show retailers sent out 114 percent more messages on Twitter in the last six months. For more interesting findings from the study, download the full Spout Social Index for free here. Taylor Ball https://www.tulsamarketingonline.com/wp-content/uploads/2018/07/TMO-Logo.png Taylor Ball2015-11-06 13:55:162015-11-06 13:55:16Why Are Retailers Ignoring Their Customers On Social Media?